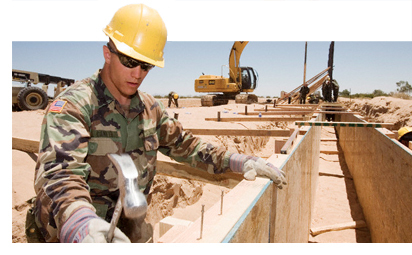 YesVets is a statewide campaign that recognizes employers who hire veterans. If you want to learn how your company can become a proud member of this important effort to help those who’ve served, visit YesVets.org. Additionally, each November the Employment Security Department commissioner recognizes 12 employers across the state with the coveted Hire-a-Veteran award for outstanding efforts in hiring, retaining and celebrating veterans. Lastly, the federal Department of Labor’s HIREVets Medallion Award honors companies for meeting pre-determined criteria in veteran hiring. For more information on these programs contact your local veterans employment representative. America’s Heroes at Work provides a step-by-step tool kit for businesses on how to enhance job opportunities for veterans. Additionally, the Society for Human Resource Management Foundation offers an easy-to-follow guide to assist employers in the recruitment, hiring, retention and engagement of military veterans. Businesses interested in creating apprenticeship opportunities for veterans can get help starting a program through the Washington state Department of Labor & Industries.